In myths and legends of the most different countries of the world, there are creatures that look like beautiful women. In many of these legends there are women associated with the forest. It is about such a woman will today’s lesson on how to draw Madremonte. The figure of our today’s character begins as always with a skeleton. Sketch it with very light lines and ovals, as in our example. Note that the figure of a woman differs from a man’s in that women’s hips are wider and their shoulders are narrower. Now we draw two lines on the head, which will help us to draw the face of our character. Next, we draw the volume using simple geometric figures. Outline all the lines and curves of the body as shown in our example. 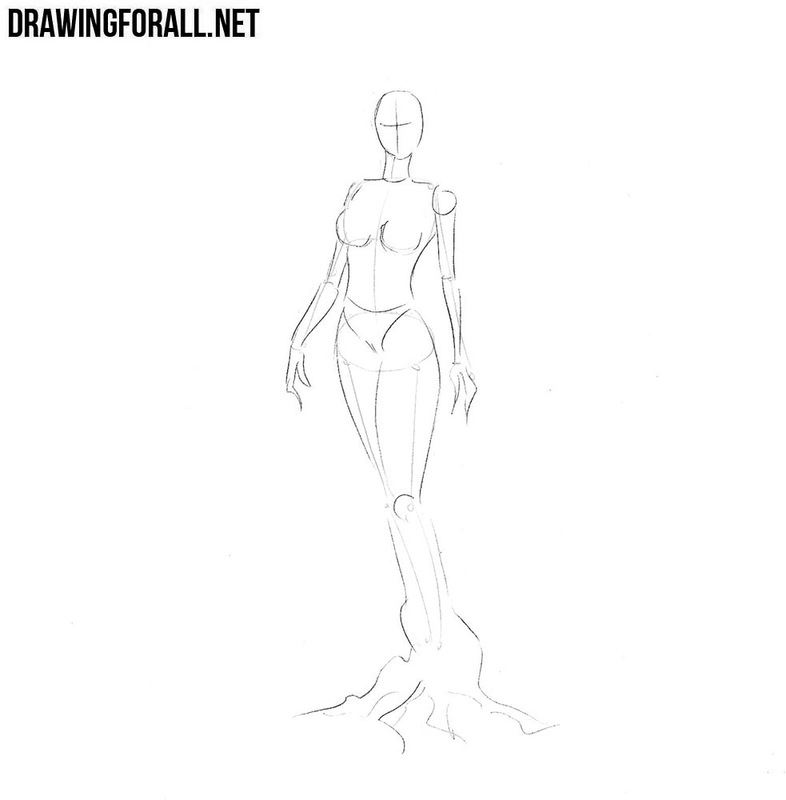 Now let’s sketch out the outlines of the main details on the body of our forest woman. Carefully draw hair with leaves and branches. Next, sketch out the leaves on the body and the roots at the very bottom of the legs. Now guided by intersecting lines on the head from the step number two, carefully draw out the outlines of the eyes, nose and mouth. To do this, use clear and dark lines, as shown in our example. We continue to draw the head of our forest woman. This is probably the most painstaking step in which it will be necessary to draw a lot of small details. 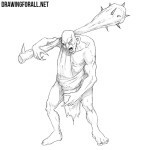 Here we need to draw branches, hair and leaves on the head. Now let’s move on to the torso. With the help of clear, dark and smooth lines we draw out the shape of the torso, which tapers strongly in the waist. Draw the leaves as in our example. 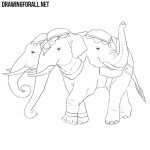 Now go to the arms, drawing them with the help of long and smooth lines. Note that the fingers should be long and look like branches. And now move to the lower part of the body of our character. 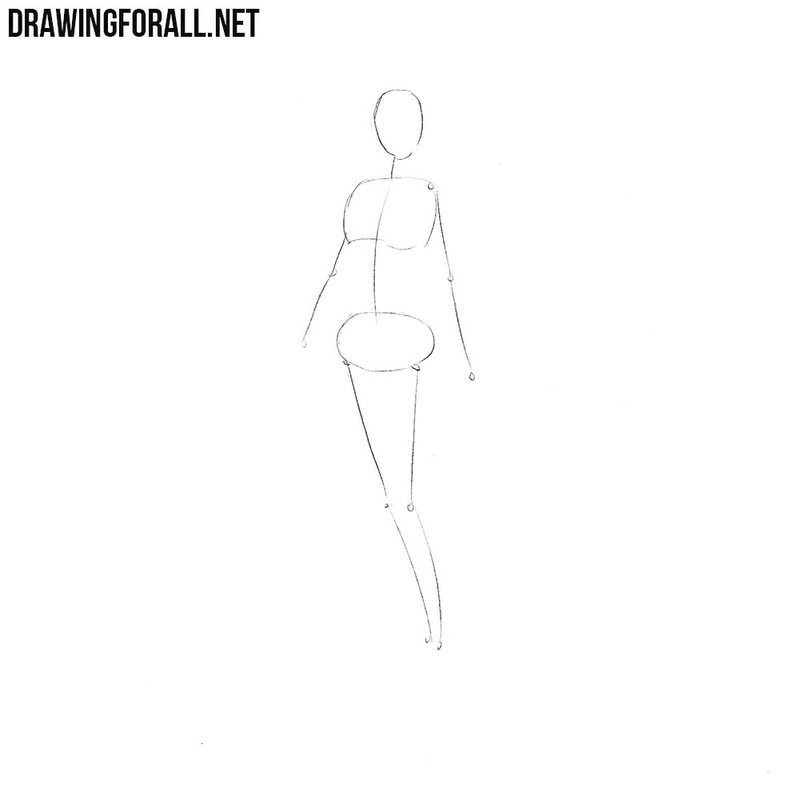 Draw the legs with smooth lines. Next, draw the roots with the help of strongly curved lines. Do not forget to delete all unnecessary guidelines. 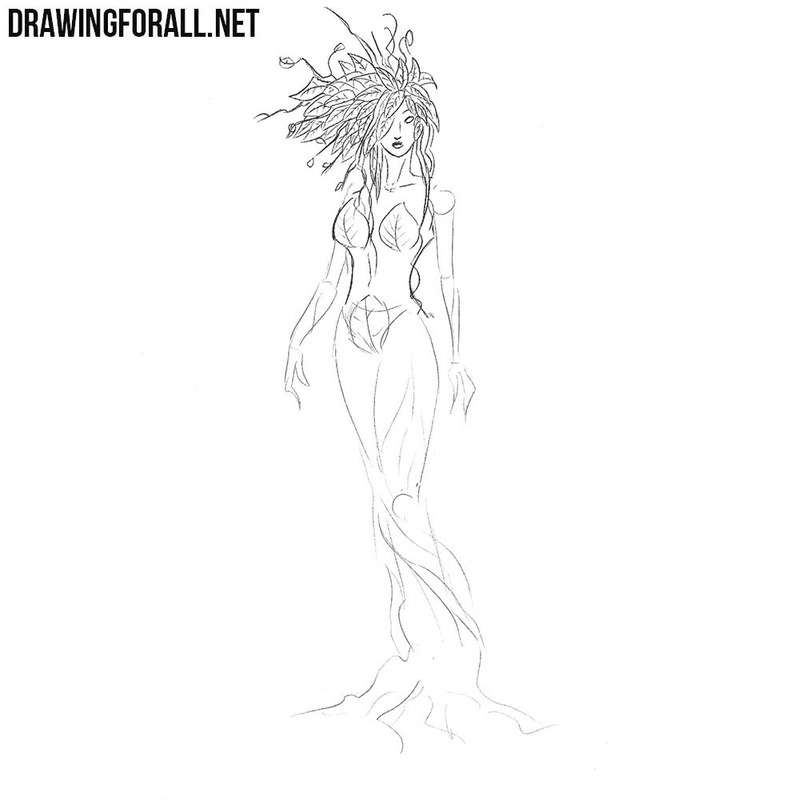 In this lesson we showed you how to draw a forest woman Madremonte – a character from South American folklore. 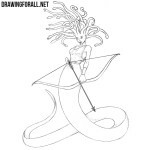 If you want to learn how to draw some character, but it’s not yet on our site, then write to us about it, so that we can do this lesson specifically for you.